Dedryck Boyata might be putting in some big performances off late, but with the winter transfer window approaching, things could again head south if the player decides to leave the club. 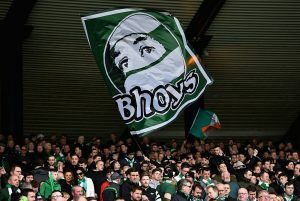 Brendan Rodgers and even the Hoops faithful are also aware that their Belgian defender would leave the club by next year but it’s not yet clear whether that would happen in January or Boyata would see out his contract until the following summer. Former Arsenal and Celtic forward John Hartson who works as a TV Pundit currently gave his opinion about what he feels Rodgers can do. 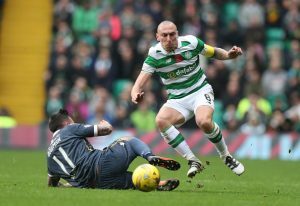 He said,”They need to deal with the Dedryck Boyata situation because he’ll probably leave in January. Selling him for somewhere around the £10m mark would be tempting, and there were reports that Fulham had put in a £9m bid in the summer which the Bhoys had rejected. 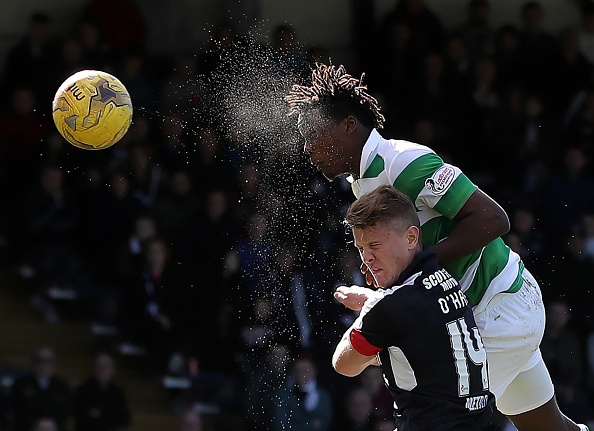 As long as the transfer window was on, Boyata created a bit of trouble in the team as he made himself unavailable for selection during the Champions League qualifiers even though he was completely fit. However, credit to Rodgers for turning things around and still getting the best out of his Belgian centre-half. Hartson pointed out that the Hoops have plenty of cover, but there is a real possibility that Filip Benkovic could be called back to Leicester City soon in the winter period especially now that Manchester United are set to launch a £60m bid for Harry Maguire. The best case scenario for Celtic would be to identify a target and bring in another centre-half in January (Probably Scott McKenna) and sell Boyata for decent money and hope that Benkovic stays until the end of the season. However, there is no guarantee that things would play out so perfectly. The likes of Jozo Simunovic and Jack Hendry have failed to put in consistent performances and losing two centre-halves in January would seriously derail the season. Therefore we believe the club can only let one of them go in January and in Benkovic’s case, Celtic don’t hold any cards. Yes, the club might lose out on the final opportunity of making good money on Boyata but this season’s title race looks much tighter than the last two years. If Boyata can contribute big time in defence (which we think he would if he stays) and Celtic go on to win another domestic treble, then we can say it would be money worth sacrificing if the player leaves on a high. 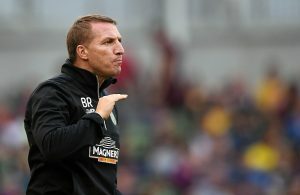 Celtic Star Likely To Commit Future To The Club: Huge Boost For Rodgers?